There’s another pullback from 7/8 MM Level, so wave (iii) was likely ended. Therefore, there’s an opportunity to have a downward correction. The main target for wave (iv) is 4/8 MM Level. 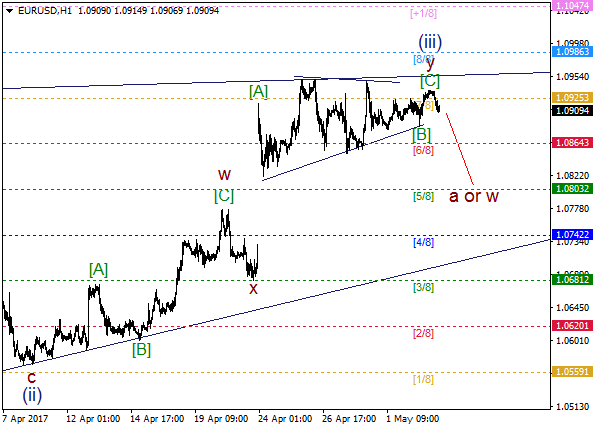 An upward zigzag in wave y of (iii) has been ended, so the price found a lodgment under 7/8 MM Level. Previously, a triangle in wave [B] was formed. 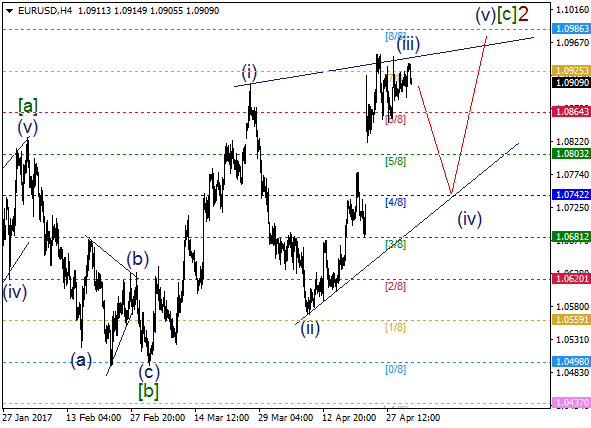 In this case, we could have wave a or w in the coming days.